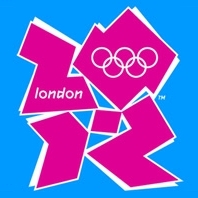 The International Handball Federation has announced today that the draw for the London 2012 Olympic Games starting at 17:30 hrs local time (18:30 CET) will be streamed live on the federation’s website. In the presence of IHF President Dr Hassan Moustafa the draw event will be conducted by Leon Kalin and Miguel Roca, the IHF Technical Delegates of the Olympic Handball Tournaments. Draw regulations: At first the pots 6, 5, 3, 2 and 1 will be drawn, then host Great Britain can choose their respective group.